It was just another lazy Sunday morning. I had forgotten to put down my curtains so it was extra bright in my little room. I yawned, pushed back my freshly clean and white crisp sheets and adjusted my head on the multiple pillows. I kicked my feet in the air, flexing my heels (I was quickly reminded, with pain, that my out-of-shape self ran yesterday - who am I?) and yawned again. 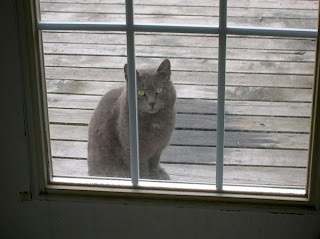 .....and saw a cat staring at me through the window!!!!!! For the record, I really like cats. I had no siblings my age or neighbors as a child (little lady in the big apple boonies) and thus, cats and dogs were essentially my best friends. I attribute my broad imagination to my childhood of dorkdom. And yes, I loved those cats. But this cat? Hell to the no. 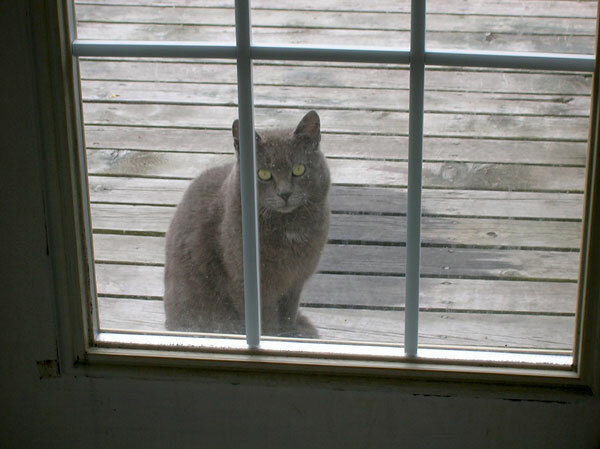 After regaining consciousness, I jolted out of my bed and banged on the glass and watched the vacuum-lint-colored kitty scurry up the stairs of my fire escape. And I thought pigeons were bad. I'm off to try and start my morning on a brighter note.